Donut walls are hugely popular overseas, and now you can get them in Auckland too! 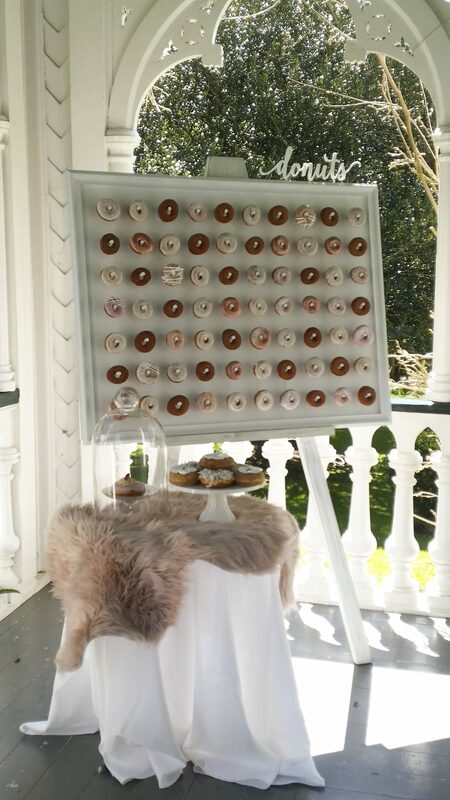 Our handmade donut wall comes with a sign and holds 70-210 exquisite donuts, we can customise them to fit with any colour scheme too! The donuts themselves are like no other donuts you have had before, they are handmade from scratch on the day of your order ensuring that you get a product that is fresh, delicious and free from nasty preservatives.